In what sense did the saints under the Old Testament believe in Christ to justification? I. The person that in Jeremiah 2:2 and in many other places is spoken of as espousing that people Israel to himself, and that went before them in the wilderness, and brought 'em into Canaan, and dwelt amongst them in the Holy of Holies in the tabernacle and temple, was the Son of God, as is most manifest by that, that he is often called the 'angel of the Lord,' 'the angel of God's presence,' 'the messenger of the covenant,' etc. II. It was plainly and fully revealed to the church of Israel that this person was a different person from him in heaven that sustained the dignity and maintained the rights of the Godhead, and acted as first and head and chief in the affairs of God's kingdom; and that this person, that had espoused the church of Israel to himself and dwelt amongst them as their spiritual husband, acted under him as a messenger from him. And as this was sufficiently revealed to that people, so the church of Israel all along understood it. These things are very apparent throughout the Old Testament. It was very plainly and expressly [revealed] in Exodus 23:20–24, 'Behold, I send an Angel before thee, to keep thee in the way, and to bring thee into the place which I have prepared. Beware of him, and obey his voice, and provoke him not; for my name is in him. But if thou wilt indeed obey his voice, and do all that I speak; then I will be an enemy unto thine enemies, and an adversary unto thine adversaries. For mine Angel shall go before thee, to bring thee unto the Amorites,' etc. Here God reveals that he would commit the care of that congregation to a person that he calls his 'angel' or 'messenger,' in whom was his name or nature; his name, JEHOVAH, by which name God had a little before so solemnly revealed himself to that people by. And he signifies to 'em that this person should have the charge of the people, and should go before 'em as their captain, and bring 'em into the land of the Amorites, etc. (see notes on the place). And Moses and the people seem to have understood the matter. And therefore afterwards, when this angel appeared to Joshua with a sword drawn in his hand, Joshua 5:13, though at first he did [not] know who he was, yet when once he told him that he was the captain of the Lord's host, Joshua seems to have understood him to be this Angel, and therefore fell on his face. And the Angel teaches Joshua to pay him divine respect by taking off his shoes, because the ground was holy, as Moses was commanded when Jehovah appeared to him at the bush. And this person, that thus had the charge of that church and had so united himself to them, was all along spoken of as a distinct person from him in heaven that acted as first in matters pertaining to the divine government, and was so understood. It is very plain in Ecclesiastes 5, at the beginning: 'Keep thy foot when thou goest to the house of God… neither say before the angel, it was an error.' The same is manifest, because it is plain that that person that went before 'em in a cloud of glory in the wilderness, and took up his abode among them in a cloud of glory in the temple, was known among them by such names as the 'angel of God's presence' (Isaiah 63:9), and the angel of the covenant (Malachi 3:1), who dwelt over the ark that is called the ark of the covenant, that contained the tables that were called the tables of the covenant. What was written on those tables is called the covenant and the book of the law; laid up beside the ark was the book of the covenant. As the ark was the repository for the keeping of the covenant, so the angel that always dwelled upon it in a cloud of glory was the angel of the covenant, or the angel that had the charge and keeping of the covenant. He that went before the children of Israel in the wilderness is called the angel of the Lord (Exodus 14:19), and was so called all along by the nation of the Jews, even till Stephen's time (Acts 7:38). By which the children of Israel must most naturally understand a distinct person from him that was first in the order of acting in the God [head]. And they must no less naturally under [stand] that it was the same person dwelt in the cloud of glory in the tabernacle, that before had gone before 'em in a cloud of glory; for indeed, 'tis represented as being the same cloud. For when the tabernacle was built, the very same pillar of cloud and fire, that had before gone before 'em, came and rested on the tabernacle and took up its abode there, the same glory of the Lord that used to appear in the cloudy pillar (Exodus 40:34 to the end). And though this cloud, and the glory of the Lord in it, afterwards did not cover or fill the whole tabernacle, but only abode in the Holy of Holies, yet it would be unreasonable to imagine that the children of Israel did not esteem it the same glory of the Lord, or a symbol of the presence of the same divine person, that ordinarily dwelt in the Holy of Holies, which had at first filled the whole tabernacle. The same things might be observed concerning the temple, when that was built. See 1 Kings 8:10–12, 2 Chronicles 5:13–14, and 2 Chronicles 7:1–3. It probably was constantly the notion of the Jewish nation that the person that dwelt in the temple and sometimes shone in a visible glory there was a distinct person from the first in the Godhead. And the evangelist John seems to speak the commonest sense of the people when he, referring to the vision Isaiah had of the glory of the Lord filling the temple (Isaiah 6:1, etc. ), speaks of the person whose glory he saw as the person of the Son of God and the Messiah (John 12:41). This same person by whom God appeared to the people in the wilderness and in the temple, manifesting himself to their view, is called 'the angel of the Lord in Zechariah 12:8. 'The house of David shall be as God, as the angel of the Lord before them'; Liphnehem, 'before their face' or 'in their view.' By this angel of the Lord, though he is called 'God,' must needs to [be] understood a distinct person from him that acts as first in order. See the manifest distinction made between Jehovah sending, and Jehovah sent and dwelling in the midst of the people, Zechariah 2:8–9, Zechariah 2:11 and Zechariah 4:9. These, with many other things in the Old Testament, do sufficiently evince that the Jewish nation had a notion of a distinction of persons in the Godhead, which they probably derived from the ancient patriarchs, the first fathers of mankind, from whom many among the heathen in various parts of the world derived their notion of a triplicity in the Godhead. And there are so frequent and so plain intimations of a distinction of persons in the written revelation which the Jews had, that it could not be otherwise than that they must have such a notion. Many of these intimations are much plainer in the Hebrew language than in the translation. Here— to omit the expressions in some of the first chapters of Genesis, and others in other places like them, and the name Elohim, which is plural, which when applied to the true God is often joined with plural verbs and adjectives— there are some places where the Son of God is spoken in particular as distinct from the Father, as the Lord on earth, or the God of Israel, distinct from Jehovah acting as first and most original in heaven. So Genesis 19:24, 'The Lord rained upon Sodom and upon Gomorrah brimstone and fire from the Lord out of heaven.' And Hosea 1:7, 'But I will [have] mercy upon the house of Judah, and will save them by the Lord their God, and I will not save them by bow, nor by sword, nor by battle, by horses nor by horsemen.' Psalms 45:6–7, 'Thy throne, O God, is forever and ever: the scepter of thy kingdom is a right scepter. Thou lovest righteousness, and hatest wickedness: therefore God, thy God, hath anointed thee with the oil of gladness above thy fellows.' Daniel 9:17, 'Now therefore, O our God, hear the prayer of thy servant, and his supplications, and cause thy face to shine upon thy sanctuary that is desolate, for the Lord's sake.' Psalms 110:1, 'The Lord said unto my Lord, Sit thou on my right hand,' etc. The Seventy Interpreters, in translating 'the Holy One of Israel,' sometimes use the plural number (see 'Miscellanies' no. 1249). 'Tis evident also by the Targums, and other ancient writings of the Jews, that the Jews of old had a notion of a distinction of persons in the Godhead. However, the. modern Jews, out of opposition and enmity to Christianity, do strenuously deny it. Here see Bp. Kidder, Demonstration, Pt. III, pp. 81–83, and 94–97, and so on to p. 116. See concerning the authors of the Targums, ibid., p. 107. This second person, who went before the people in the wilderness and conversed with them and their fathers, and afterwards dwelt on the mercy seat and often appeared to eminent men, was called by various names of old. Sometimes he was called 'the angel of the Lord,' 'the angel of God's 'face' or 'presence,' 'the messenger of the covenant'; sometimes 'the face of the Lord' or 'the presence of the Lord,' as when God says, 'My presence' (or 'my face') 'shall go with you' (Exodus 33:14). He is called 'the word of God.' 2 Samuel 7:21, 'For thy word's sake, and according to thine own heart, hast thou done all these great things, to make thy servant know them.' See the opinion of the ancient Jews concerning the 'word of God' as a divine person, Bp. Kidder's Demonstration, Pt. III, pp. 93–116. See 'Miscellanies,' no. 1256. This person was often called the 'name of the Lord' (wherein possibly there is some reference to that place where God says, 'my name is in him' [Exodus 23:21]). Thus we often read of the place that God chose to place his name there, i.e. to place there the shechinah, which was the symbol of the presence of this angel of the Lord, that had God's name in him. Where we read in our translation, 'I will put' (or 'place') 'my name there,' in the original it is, 'I will cause my name to inhabit there,' plainly speaking of God's name as a person; and sometimes it is so rendered by our translators, as Deuteronomy 12:11. 'Then there shall be a place that the Lord your God shall choose to cause his name to dwell there.' So the temple is spoken of as an house built for God's name, 1 Chronicles 22:8 and 1 Chronicles 28:3, and 2 Chronicles 6:8–9 and 2 Chronicles 20:9; Jeremiah 48:17; Psalms 5:11 and Psalms 91:14; Isaiah 52:6; 1 Kings 8:43; 2 Chronicles 6:3. And in Psalms 74:7, the temple is called 'the dwelling place' of God's name. This name of God, that dwelt in the Holy of Holies, is many ways spoken of as a person. It is spoken of as the object of worship; of knowledge (Micah 6:9, '[the] man of wisdom shall know thy name'); of fear (Malachi 4:2); of love; of desire (Isaiah 26:8, Psalms 5:11); of seeking or prayer (Psalms 83:6); and of sanctifying (Isaiah 29:3); of trust and waiting (Psalms 52:9, and many other places). So we read of blaspheming God's name. 'Tis spoken of as hearing and answering prayer, accepting offerings, remembering with mercy, sending help from the sanctuary, and defending and saving his people. Psalms 20:1–3, 'The Lord hear thee in the day of trouble; the name of the God of Jacob defend thee; and send thee help from the sanctuary, and strengthen thee out of Zion; remember all thy offerings, and accept thy burnt sacrifice.' Psalms 54:1, 'Save me by thy name.' 'Tis spoken of as approaching or drawing near to his people. Psalms 75:1, 'that thy name is near thy wondrous works declare'; i.e. near to his people, dwelling with them and not forsaking them, as appears by the words with which they are introduced and by what follows in the Psalm. Divine attributes are ascribed to this name: as power (Jeremiah 10:6, 'For there is none like thee, O Lord; thou art great, and thy name is great in might'); anger (Isaiah 30:27, 'Behold, the name of the Lord cometh from afar, burning with his anger, and the burden thereof is heavy: his lips are full of indignation, and his tongue as a devouring fire'). In which place, God's name is evidently spoken of as a person; it has not only the personal attribute of anger, but makes progress, comes and as it were travels from afar, having his lips 'full of indignation and his tongue a devouring fire.' Van Mastricht speaks of it as a common saying among the Hebrews concerning God's name, הוא ושמו שמו הוא, 'He himself is his name, and his name is himself.' Philo the Jew speaks of the Messiah under the appellation of 'the name of God.' 'In his allegories,' he speaks of him as 'the WORD, the NAME of God, the maker of the world, the great instrument of God whereby he made the world.' See Leslie to the Jews, p. 93. See also Bp. Kidder's Demonstration, [Pt. II], p. 103c. God, to prevent the Jews having any notion of two Gods, and to lead 'em to conceive of the infinitely near relation between that person that more immediately dwelt among them and the first person in the Godhead, as being in him and as having one nature and substance, called him his 'name,' as properly according to the infant capacity of the church in that day, signifying the relation that there is between him and his idea. When the Scripture speaks of God's name as placed in the temple, there is an allusion rather to a written abiding name than a name pronounced by a vanishing sound. For a written name only is capable of being properly placed or fixed to remain in a place. And therefore, this fixing of God's name is expressed by recording his name (Exodus 20:24). A written name stands as a representation of him whose name it is, and therein is like an image. So Christ is the Father's representation and express image and character, as the expression is in the original of Hebrews 1:3. 'The brightness of his glory, and the character of his person.' In the temple there was as it were the image and character of God, which was also called his name. This same person, that is so called, appeared in the shechinah in the temple, and is called the 'brightness of God's glory.' As now 'tis frequently the manner of representing of God on paper and in books not by a picture, as other things are represented, but by the characters of God's name, and particularly the Hebrew characters of the name יהוה, with beams of an effulgent glory about it. It may be further observed that the word 'name' is sometimes put for posterity, by which a person was represented and kept in remembrance. See Deuteronomy 25:7, Ruth 4:5, and Isaiah 66:22. Which may show another reason why this divine person is called the name of the Lord, he being his own and only natural Son. 'Tis true those phrases, 'the name of the Lord' and 'the glory of the Lord' and 'God's honor,' as used in the Old Testament, are not to be taken only in a personal sense. By the glory and honor of God was sometimes meant the shechinah, or the person that manifested himself in it; and sometimes thereby was meant a great and honorable fame. The same may be observed also of God's name. But these two meanings of these phrases are near akin; as one's name or glory is that by which one's excellency is manifested, shines abroad and is made known, so Christ, who is the essential glory of God and is that word, idea or essential character by which he is known to himself and his glory shines in his own eyes. Another name by which this person was called was the 'strength of the Lord.' GLORY and STRENGTH were sometimes uses as synonymous phrases. Thus 'the sun's going forth in his strength' [Judges 5:31] is the same as the sun's going forth in his glory or brightness. Bright beams are in Scripture used as a symbol of strength, as horns were. Therefore horns and bright beams are the same word in the Hebrew. Habakkuk 3:4, 'And his brightness was as the light; he had horns coming out of his hand: and there was the hiding of his power.' Thus Moses, because his face shone, is painted with horns. The same person is called both God's glory and his strength, as dwelling on the ark. Psalms 78:61, 'And delivered his strength into captivity, and his glory into the enemy's hand,' speaking of the captivity of the ark when taken by the Philistines. The ark is called the ark of God's strength (2 Chronicles 6:41 and Psalms 132:8). The same person that is called God's name is also called his strength in Psalms 54:1. 'Save me by thy name, and judge me by thy strength.' And as God's name and glory dwelt in that which was called the cloud of glory in the Holy of Holies, so in Psalms 68:34–35, 'His excellency is over Israel, and his strength is in the clouds. O God, thou art terrible out of thy holy places.' (It must be remembered that this Psalm was penned on occasion of carrying the ark into Zion.) The same person is called God's strength. Isaiah 27:5, 'Let him take hold of my strength,' and Psalms 105:4, 'Seek the Lord, and his strength: seek his face evermore.' So 1 Chronicles 16:11. In Daniel 11:31, the temple is called 'the sanctuary of strength.' So in the New Testament, Christ is called 'the power of God'[1 Corinthians 1:24]. So he is called 'the rock,' 'the rock of ages,' etc. (Isaiah 26:4). So he is called 'the excellency of the Lord' and 'the beauty of the Lord,' as in that, Psalms 68, which was on occasion of placing the ark in the Holy of Holies in Zion. Psalms 68:34, 'His strength is over Israel, and his excellency in the clouds.' This excellency and strength here mentioned are the same with strength and beauty, mentioned, Psalms 96:6, 'Strength and beauty are in his sanctuary.' Psalms 90:17, 'Let the beauty of the Lord our God be upon us.' Isaiah 4:2, 'The branch of the Lord shall be beauty and glory.' This person in Daniel is called 'Michael' (Daniel 10:13, Daniel 10:21 and Daniel 12:1). This angel of God's presence, in whom was his nature, form and glory, had been wont from time to time to appear in a glorious visible form, in the form of a man beautiful and very illustrious. He did so amongst the Jews, to Ezekiel, Isaiah, Manoah, Joshua, Moses, the seventy elders and others. So he did to the ancient patriarchs, to Abraham, Isaac and Jacob. And so probably he had done to Noah and other holy men that [were] the first fathers of the world of mankind, in those days when there was no written revelation. This person that thus appeared in the form of a man with ineffable beauty, was so known among the Jews and the ancient patriarchs and progenitors of nations, that it was famed among the heathen nations from those; so that they had a tradition of the Son of God appearing in a glorious form of man, as they had many other things about God— his attributes, and works, and persons of the Trinity— from the Israelites and ancient patriarchs. And therefore, when Nebuchadnezzar saw a person with Shadrach, Meshach and Abednego in the burning fiery furnace in such a visible form, he at once supposed it to be this person that he had heard of, that used thus to appear; and therefore he says the form of the fourth is like to [the] Son of God [Daniel 3:25]. The Jews called a very wicked man 'the son of wickedness' and 'the son of Belial'; a valiant man (2 Chronicles 28:6), 'the son of valor'; a very afflicted person, 'the son of affliction' (Proverbs 31:5). Anointed ones are called 'sons of oil'. The apostles, who were powerful in their preaching, are called 'sons of thunder.' And they that were remarkably fitted to administer comfort were called 'sons of consolation.' And earthly rulers in Israel are called 'gods' and 'sons of the Most High.' And created angels, who sometimes appeared in great brightness and majesty, are called 'sons of God.' How, then, can we suppose any other than [that] they should call that angel of God's presence, that divine person who had the name, glory and beauty of Jehovah in him, and has his image and nature, and was in the most eminent manner set by God as his king in the holy hill of Zion, and was truly vested with divine authority: I say, how could it be otherwise than that they should call this person (which, as has been proved, they conceived as a distinct person from the first person in the Godhead), the Son of God. 'Tis evident by Philo that the Jews esteemed that angel that God appointed over them as the image and Son of God. See Bp. Kidder's Demonstration, Pt. III, pp. 102c, 103c, d, 104b, 105c, d.
Every nation had their gods to their protectors and saviors, their tutelar deities; and therefore the heathen nations were reproached with [that], that their gods could not save them. They are very often compared with the true God in that respect, viz. their insufficiency for that end for which they were chosen and trusted in, viz. to be a defense, a rock, to be saviors of those that worshipped them. Deuteronomy 32:31, 'their rock is not as our Rock, even our enemies themselves being judges.' See 1 Samuel 12:20–21; Isaiah 43:1, Isaiah 43:3, Isaiah 43:10–15, and Isaiah 44:5–6, Isaiah 44:17, Isaiah 44:21–24, and Isaiah 45:15–17, Isaiah 45:20–25, and Isaiah 46:1–4, Isaiah 46:7, Isaiah 46:13; Hosea 13:4; Isaiah 49:26, and Isaiah 60:16, and Isaiah 63:8; Psalms 106:21; Deuteronomy 20:4; Jeremiah 2:28 and Jeremiah 3:23; Psalms 3:8; Jonah 2:8–9; Isaiah 25:9; 2 Samuel 7:21–24; 1 Chronicles 17:19–22; Psalms 78:35; Isaiah 41:14, and Isaiah 54:5, and Isaiah 47:4, and Isaiah 48:17. The writers of the Jewish Targums speak of that divine person, whom they called 'the Word of the Lord,' as the strength, the Redeemer, of God's people. Bp. Kidder's Demonstration, Pt. III, p. 107. The several tutelar deities of the nations were called 'princes' of those nations. Thus we read of the 'prince of Persia' and the 'prince of Grecia.' But Michael was the prince of Israel. Daniel 10:13, 'But the prince of the kingdom of Persia withstood me one and twenty days: and lo, Michael, the first of the chief princes' (so it might be rendered) 'came to help me.' Daniel 10:20–21, 'Then said he, Knowest thou wherefore I am come unto thee? and now will I return to fight with the prince of Persia: and when I am gone forth, lo, the prince of Grecia will come. But I will show thee that which is noted in the scripture of truth: and there is none that holdeth with me in these things, but MICHAEL YOUR PRICE.' And ch Daniel 12:1, 'And at that time shall MICHAEL stand up, the great prince that STANDETH FOR THE CHILDREN OF THY PEOPLE.' Philo calls the Word 'the Son of God,' 'the first begotten Word,' 'the most ancient angel,' 'the archangel,' 'the eternal Image,' 'the most holy Word.' Bp. Kidder's Demonstration, Pt. III, p. 103c, d.
VI. The people of Israel could not but understand that this person was transcendently dear to God, i.e. to the first person in the deity. It that has been observed already [as] sufficiently manifest that he was, in a peculiar and in the most eminent and transcendent manner, the Son of God; and if they looked upon him so, they must suppose [him] to be answerably beloved of him. His being called the angel of God's presence, or face, led them naturally to conceive that he was, above all others, near to God and as it were in the bosom of his Father. And his being called the glory, honor, excellency and beauty of God would naturally lead them to that thought that he was the object of God's highest delight and complacence. Besides that, he is spoken of as one that was known to be peculiarly beloved of God. Psalms 47:4, 'He shall choose our inheritance for us, the excellency of Jacob whom he loved.' 'Tis doubtless the same person, who here is called the excellency of Jacob, who is elsewhere called the excellency and beauty and glory of the Lord, and the glory of Israel, as when it was said 'the glory is departed from Israel.' The gods and saviors and tutelar deities of the several nations are represented as the portion and inheritance which God has given the nations. Deuteronomy 4:19, 'and when thou seest the sun, and the moon, and the stars, even all the host of heaven, shouldst be driven to worship them, and serve them, which the Lord thy God hath divided unto all nations under the whole heaven'; i.e. God had given each one their particular gods as their portion or inheritance. But as for Israel, God had not divided to them any such kind of tutelar deity for their portion. Deuteronomy 29:26, 'For they went and served other gods, and worshipped them, whom they knew not, and whom he had not divided unto them.' So it is in the original. God [had] chosen a better inheritance for them, even the excellency of Jacob, whom he loved. The temple was sometimes called, it seems, 'the excellency of Jacob' (Amos 6:8). But it seems to be only derivatively, as it is also sometimes called 'the beauty of holiness' and, as the ark was called, 'the glory.' But that which was eminently the glory and excellency of Israel, was that divine person who dwelt in the temple over the ark. VII. The saints in Israel looked on this person as their Mediator, through whom they had acceptance with God in heaven and the forgiveness of their sins, and trusted in him as such. Here see what Rabbi Menachem says of coming to God through the shechinah, in Synopsis, on Psalms 17:15. This was a natural consequence of those things which have been already mentioned. Seeing they looked upon [it] that he had so espoused them and united himself to them, and so interested himself in their affairs, that he esteemed their affairs his own, and was appointed of God to be their tutelar deity, their head, husband, captain and Redeemer, and had with a most peculiar affection undertaken this, and was also God's own Son, above all others near to him, a person transcendently dear to him, whom he took the most peculiar delight and complacency in as his glory and beauty: it was natural for them to place their confidence in him and trust in him as the Mediator by which such poor, weak, worthless, sinful, miserable and helpless creatures might have access to God, who had his throne in the heavens and acted and held the supreme place in the government of the world, and by whom they were recommended to his acceptance and favor; and so when their minds were oppressed with a sense of guilt, and under all their straits and difficulties, to have the refuge of their souls in him. As this Michael was thus their prince, appointed to be their protector and Saviour, and that had so espoused them, and as he was that great prince that stood for them, agreeable to Daniel 12:1, it was natural for them to look upon it that he was one that stood for them with God as well as with men. The nations in general had that notion concerning their respective tutelar deities, that they were their mediators with the supreme God. 'The necessity of a mediator between God and man was a general notion' that all mankind went into from the beginning, and all nations worshipped their particular national deities and images that dwelt among them as mediators. See Prideaux's Connection, vol. 1, pp. 249–51. The children of Israel had no images, but they had the name of the Lord in the shechinah. This they supposed to be the image and character of the invisible God, the brightness of his glory. The people were led to conceive that it was for the sake of him that was called God's name, that he caused to dwell in his temple, in the place that he chose, that he accepted and blessed them, from many things which God had said to 'em; particularly by that, Exodus 20:24, 'in all places where I record my name I will come unto thee, and I will bless thee.' And when God did more expressly reveal his appointment of this angel of his presence to be their head, guide and protector, it was intimated as though their acceptance with God depended on their adherence to this person. Exodus 23:20–22, 'Behold, I send an Angel before thee… If thou shalt indeed obey his voice, and do all that I speak; then I will be an enemy unto thine enemies, and an adversary unto thine adversaries.' That implies that they should be his peculiar favorites. And that the saints trusted in this person that was called the Lord, and the name of the Lord, the word of the law, the strength of the Lord, etc. appears by their prayers, in which they desire to be heard and accepted and pardoned for his sake. Thus Daniel, after the most humble and penitent confession of his sins, says, Daniel 9:17, 'Now therefore, O our God, hear the prayer of thy servant, and his supplications, and cause thy face to shine upon thy sanctuary that is desolate, FOR THE LORD'S SAKE.' So David, Psalms 31:3, 'for thy NAME'S SAKE lead me, and guide me.' Psalms 25:11, 'For thy NAME'S SAKE, pardon mine iniquity; for it is great.' And Psalms 79:9, 'Help us, O God of our salvation, for the glory of thy name: and deliver us, and purge away our sins, for thy NAME'S SAKE.' Psalms 109:21, 'But do thou for me O God the Lord for thy NAME'S SAKE.' And Psalms 143:11, 'Quicken me, O Lord, for thy NAME'S SAKE.' Jeremiah 14:7–8, 'O Lord, though our iniquities testify against us, do thou it for thy name's sake: for our backslidings are many; we have sinned against thee. O the hope of Israel, and the savior thereof in time of trouble, why shouldst thou be as a stranger that turneth aside to tarry for a night?' And Jeremiah 14:21, 'Do not abhor us, for thy name's sake, do not disgrace the throne of thy GLORY'; i.e. God's mercy seat in the temple, where God's name or glory dwelt. That it was for the sake of that angel of God's presence that loved, pitied and redeemed them out of Egypt, that God forgave the sins of his people, and in remembrance of him and from respect to him showed them mercy notwithstanding their great sins, seems to be plainly signified in Isaiah 63:9–12. 'The angel of his presence saved them: in his love and his pity he redeemed them; and he bare them, and carried them all the days of old. But they rebelled, and vexed his holy Spirit: therefore he was turned to be their enemy, and fought against them. Then he remembered the days of old, Moses, and his people, saying, Where is he that brought them up out of the sea with the shepherd of his flock? where is he that put his holy Spirit upon them? That led them by the right hand of Moses with his glorious arm, dividing the water before them,' etc. Here God is represented as though, after his wrath, he recollected the great love and pity of that divine person that was their redeemer, and so began to relent. Philo speaks of the Word, the Son of God, and that Angel, spoken of, Exodus 23:23, as the most perfect advocate, by whom was obtained an amnesty of sins and supply of grace and good things, and the true high priest. See Bp. Kidder, [Demonstration], Pt. III, pp. 102c, 104b, and 105. This person, agreeable to his office of mediator, thus did as it were cover the nakedness and deformity of the people, and recommended them by his excellency and beauty. He is called 'the excellency of Jacob' in the place forementioned, Psalms 47:4; and Amos 8:7, 'The Lord hath sworn by the excellency of Jacob.' Philo speaks of the Logos, or Word of God, as a middle person standing between God and the creatures, 'a supplicant intercessor for mortals with the immortal.' Bp. Kidder's Demonstration, Pt. III, p. 106a. The authors of the Jewish Targums speak of the Word of God as that which God looks upon, and for the sake of which he has respect to, the people and will not abhor them. See Kidder's Demonstration, Pt. HI, p. 107a, b, c.
And trusting in this person was directed to as the way for sinners to obtain peace and reconciliation with God. Isaiah 27:5, 'Or let him take hold of MY STRENGTH, that he may make peace with me; and he shall make peace with me. VIII. The saints in Israel were led to that apprehension, that their prayers and all the sacrifices which were offered in the temple were accepted, and that God was reconciled to those [that] worshipped and made their offerings there, as though atonement were made and a sweet savour offered. Not on account of the value of their offerings as in themselves, but through that person called God's name who dwelt there as their Mediator, and through his worthiness. 'Tis manifest that God did not expect that his people should bring their sacrifices there with any apprehension that they were acceptable to him [on their] own account, or could make any atonement for their sins through their own virtue or value. For they that had such notions are often reproved in the Old Testament, and it is from time to time spoken of by God as unreasonable and very absurd; as Psalms 50:7, etc., Isaiah 1:11, etc., Psalms 51:16–17, Hosea 6:6, Micah 6:6–8, Psalms 40:6, Jeremiah 7:22–23, Isaiah 66:1–3, Jeremiah 6:20, 1 Samuel 15:22, Ecclesiastes 5:1, Deuteronomy 10:12–14 compared with Psalms 50:7, etc. First. In its being often expressly required and insisted on that all their sacrifices and offerings should be brought to the place that God should choose to cause his name to dwell there, in order to their being accepted. Deuteronomy 12:5–7, Deuteronomy 12:11, Deuteronomy 12:14; Deuteronomy 14:23–24, Deuteronomy 14:26; Deuteronomy 15:19–20; Deuteronomy 16:2, Deuteronomy 16:6–7. Second. It was revealed that God would be ready to accept their sacrifices and offerings in that place, and that his eyes and his heart should be towards that place because God had placed his name there. Exodus 20:24, 'An altar of earth thou shalt make unto me, and shalt sacrifice thereon thy burnt offerings, and thy peace offerings, thy sheep, and thine oxen: in all places where I record my name I will come unto thee, and I will bless thee. Fourth. What does abundantly confirm what was last observed is this: that when they prayed towards the place where God's name dwelt, it is signified that in order to their obtaining reconciliation, they must have the respect of their hearts to God's name that was there, and acknowledge their dependence on that, and the sufficiency and glory of that; which is manifest by 1 Kings 8:33–34 of that chapter [1 Kings 8]: '…shall turn again to thee, and confess thy name, and pray, and make supplication unto thee in this house: then hear thou in heaven, and forgive.' So 1 Kings 8:35–36, 'if they pray towards this place, and confess thy name… then hear thou in heaven, and forgive.' Confessing God's name doubtless signifies as much as acknowledging and being sensible of dependence on God's name, and its glory and sufficiency, and trusting in it; as 'tis said, 'The name of the Lord is a strong tower: the righteous runneth into it, and is safe' [Proverbs 18:10]. This is confirmed by many places, where the same original word is used. Psalms 122:4, 1 Chronicles 16:8, Psalms 105:1, Isaiah 12:4, Genesis 49:8, Daniel 9:4, Job 40:14. Though it be true Jehovah is represented as dwelling in the Holy of Holies over the propitiatory, yet 'tis not so common in Scripture to represent that as his throne, but rather as his footstool (1 Chronicles 28:2; Psalms 99:1, Psalms 99:5 and Psalms 132:7; Isaiah 66:1). And if it be considered as a seat, it was looked on rather as a chariot of the Mediator, a moveable seat, a vehicle to carry to heaven, the fixed everlasting throne of the supreme Judge, than as the throne of the Judge himself. Thus it is called 'the chariot of the cherubims' (1 Chronicles 28:18). It is agreeable to Scripture to look on the propitiatory not only as a throne, but also as an altar, and much more in the latter view than in the former. It is not a throne that is a propitiatory, or a place or instrument of atonement, but an altar. The blood of the sacrifices was sprinkled on the propitiatory, and not only before it (Leviticus 16:14–16). That is an altar on which the blood of the sacrifice is offered in order to atonement. Though it be true that the propitiatory was represented as the special place of God's residence and abode, yet God's altar was the place of his abode. God will abide on no other seat in this world among sinful men than on an altar, that is, a propitiatory where atonement is made for sin. So an altar is represented from time to time as the place of God's presence in the Psalms (Psalms 43:4 and Psalms 84:1–3). And perhaps the propitiatory where dwelt God's name in the Holy of Holies, is meant by Solomon, God's altar, in 1 Kings 8:31–32, 'If the oath come before thine altar in this house: then hear thou in heaven.' Because the place of God's residence is an altar, therefore when he appeared in [a] vision to the prophet Amos, he appeared as standing on the altar (Amos 9:1). Not sitting on it: for the place of God's abode in the temple was rather his footstool than his throne, as was observed before. Formerly, before Moses, God's people had no other external dwelling places for God but altars. The patriarchs, where they went, built altars to the Lord, that God might dwell with them. Jacob called the place where he slept, and had his vision of the Lord, 'Beth-el,' the house of God, though God did not appear to him as having the place of his abode there, but in heaven. But there was the foot of the ladder of communication from him, and ascent to him in heaven; which ladder, on which angels ascended and descended, was a thing of like signification with the chariot of the cherubims. Jacob there built an altar to God. He set up the stone on which he slept for an altar, and poured oil thereon and vowed that that stone should be God's house, that he [would] repair to it and make use of it as the place of God's special residence. And accordingly, afterwards we find he made use of this stone as an altar, poured a drink offering thereon, and poured oil thereon, and called the name of the place 'Beth-el,' or the house of God (Genesis 35:13–15). If it were so that the children of Israel looked on the propitiatory as an altar, they must look upon it as such by far in the highest and most eminent manner of any of the altars, it being the very propitiatory, the place where all their sacrifices became an atonement, and where reconciliation was made through him that dwelt there in the cloud of glory, without whom all their sacrifices were nothing. And so they must naturally look on the angel of the covenant that abode there as their most eminent high priest, through whom their sacrifices came up for a sweet savor to God in heaven, and on whom they [were] entirely dependent for a real atonement and peace with God. Philo the Jew speaks of the Logos or Word as he [of] whom the high priest made use as the most perfect advocate, the Son of God, to procure an amnesty of sins and a supply of grace or good things. (See Kidder's Demonstration, Pt. III, p. 104.) Philo often calls him high priest, and the true high priest, and him who is not falsely so called, being free from sins; that the true high priest is not a man but the divine Word. IX. God's people of old must needs understand that that divine person that had espoused that people, and that formerly went before 'em in the wilderness and dwelt among them as their Lord, protector, Mediator and Redeemer, was he that was in future time come into the world in the human nature, who was the Messiah so often promised. They must understand that the Messiah was to be God, or a divine person. In Isaiah 9:6, which is one of the plainest prophecies of the Messiah, and which undoubtedly was universally understood as pointing at him, 'tis very plainly and expressly revealed that he was to be God: 'For unto us a child is born, unto us a son is given: and the government shall be on his shoulder: and his name shall be called Wonderful, Counselor, The mighty God, The everlasting Father, The Prince of Peace.' And the Messiah's coming, in very many prophecies of it, is foretold as Jehovah's coming. (But see very many things in the prophecies of the Messiah that plainly signified that he was Jehovah, or a divine person, in 'Fulfillment of the Prophecies of the Messiah,' But if he was to be God, they must conceive of him not as the first person in the Godhead, which is inconsistent with almost everything in the predictions of the Messiah. Therefore, they must look upon him as that other divine person, the messenger or angel of the covenant, that used of old to appear in a human shape under the name of the Angel of the Lord, and that went before 'em in the wilderness and dwelt with them in the tabernacle and temple, appearing in the cloud of glory. And that it was that very person, seems signified in the prophecies by many things. There is the sameness of office: he is abundantly foretold as the protector, guide, captain, redeemer, savior, mediator and husband of his people (see 'Fulfillment of Prophecies of the Messiah'); and as that Angel of the Lord that appeared of old, told Manoah that his name was secret or 'wonderful.' So 'tis foretold of the Messiah that this should be his name (Isaiah 9:6). It was foretold that the name of the Messiah should be 'Immanuel,' or GOD WITH US, which very plainly points out the person to be the same that was God with the Jews, espousing them, dwelling with them on earth, strictly united to them as their Savior, and head of communication to them, and their Mediator with God in heaven. And so does that other name given to Messiah in another very plain prophecy of him, viz. JEHOVAH OUR RIGHTEOUSNESS. Whether we understand the word 'righteousness' to be a righteousness for their justification, or to signify their vindication and defense from their enemies, pleading their cause as their king, judge and captain of salvation, it plainly points forth what divine person it was, viz. the same that dwelt in the temple over the mercy seat in the cloud of glory. And this again is plainly to be understood by the prophecies of Haggai, Zechariah and Malachi. When the people were lamenting the absence of the shechinah, the 'glory of Jehovah,' in the second temple, Zechariah comforts 'em, that the man whose name is 'the Branch' should come and build the temple of JEHOVAH, and should bear the GLORY, and should sit upon his throne (Zechariah 6:12–13). Here 'tis foretold that the Messiah should bear the glory of Jehovah and sit on the mercy seat, where that glory used to abide; which, with great evidence, points out what divine person the Messiah should be. The prophet Malachi 3:1 comforts them, that the Lord whom they sought, whose absence from the temple they were lamenting, should soon come into his temple, even the messenger, or angel, of the covenant whom they delighted in, or who was as their spiritual husband. And the prophet Haggai 2:7 comforts them, that God will fill that house with glory by the coming of the desire of all nations, i.e. of that divine person who used to appear in the glory above the mercy seat. He shall come not only as the desire and delight and spiritual husband of the Jews, but of all nations. When God says here, 'I will fill this house with glory,' there is without doubt reference to those things mentioned, Exodus 40:34, 'Then a cloud covered the tabernacle, and the glory of the Lord filled the tabernacle'; 1 Kings 8:10–11, 'The cloud filled the house of the Lord,' and 'the glory of the Lord filled the house of the Lord.' Thus it was when the tabernacle was built: and so when the first temple was built, the cloud of glory filled the temple as a token of the presence of the angel of the covenant. But now when the second temple was built, no such thing appeared; but here 'tis promised that God would fill this house with glory by the coming of the Messiah, as the desire not of the Jews only but all nations. How naturally and necessarily do these things lead them to conceive that that divine person who was to come as the Messiah was that Angel whom they knew by the name of their desire, delight, etc., who used to appear in the tabernacle and temple in the cloud of glory. Another thing that led them to think that that person who was to come into the world with the name and character of Jehovah was the same with the angel of God's presence, was [that] the Messiah was spoken of as in the most eminent manner the beloved of God, in whom his soul delighted (Isaiah 42:1). 'That ye may believe that Jesus is the Christ, the Son of God.' See also Matthew 4:3, Matthew 4:6, and Matthew 27:40, and Matthew 14:33, and Matthew 27:54; Mark 1:1 and Mark 3:11; John 1:34, John 1:43, and many other places. The Son of God they looked upon to be God, or a divine person, as is evident by Matthew 26:63–65; more clearly in Luke 22:70–71, John 10:36 and John 19:7. The same thing, viz. that the Messiah was understood by the Jews to be that person that dwelt in the temple by the name of the 'word' and 'name' of God is evident by their own ancient writers, and particularly from Philo and the Talmuds. Philo speaks abundantly of the Word of God as a divine person (see Bp. Kidder's Demonstration, Pt. III, pp. 93, etc.). He speaks of this Logos or Word as the first begotten Son of God, and as the very same person that God spoke of when he said, Exodus 23:23, 'I will send mine Angel before thee,' etc. (Bp. Kidder, Pt. III, p. 102). He calls the same the NAME OF GOD, the first begotten WORD, the Archangel, the eternal Image of God, the man of God (ibid., p. 103), the Advocate, the Son that procures an amnesty of sins and a supply of grace and good things. That Philo understood that the person whom he calls the Son of God, the first begotten Son, the Image of God, etc., was the same person with the Messiah, is evident because he applies to him that plain prophecy of the Messiah, Zechariah 6:12, 'Behold, the man whose name is the Branch,' etc. See Leslie to the Jews, pp. 93, etc. That this divine person, when he should come as the Messiah, should be incarnate, or become man: for the Messiah is the seed of the woman, the Prophet which God should raise up to his people from the midst of them, of their brethren (Deuteronomy 18:15, Deuteronomy 18:18); was to be of the seed of David, of his house or family, a rod out of the stem of Jesse, a Branch growing out of his root; was to be the son of a virgin (Isaiah 7:14); was to be a child born, a son given (Isaiah 5:6–7). In Daniel 7:13, he is represented in [a] vision as one appearing as the Son of man, and [in] Zechariah 6:12 he is called 'the man whose name is the Branch.' In Daniel 9:26 it is expressly said, the Messiah shall be 'cut off' See also Isaiah 53. X. God's saints in Israel supposed that the Messiah, when he came, or the angel of the covenant, when he should come to dwell amongst men in the human nature, would make an end of their sins and wholly abolish the guilt of then by an atonement which he should make; and that the guilt of their sins, though removed from them and as it were laid upon that divine person who dwelt on the propitiatory in the temple, and was by him taken on himself, yet would not properly [be] abolished and made an end [of] till he should come. The same thing seems pretty evidently implied in that, Zechariah 3:8–9, 'for, behold, I will bring forth my servant the branch. For behold the stone that I have laid before Joshua; upon one stone shall be seven eyes: behold, I will engrave the graving thereof, and I will remove the iniquity of that land in one day.' A thus removing the iniquity of God's people is here spoken of as a new and extraordinary thing, some great thing whereby that should be brought to pass, that is very diverse from what used to be. As much as to say, removing iniquity shall not be a thing continually doing by a long and perpetual series of sacrifices, by which there is continually fresh remembrance made of sin, signifying that a proper atonement was not yet made. But the business shall then be finished in one day, and shall not remain to be done over again; but the work of making reconciliation or atoning for sin shall be from that day forward forever completed. See also Zechariah 13:1, 'In that day there shall be a fountain opened to the house of David and the inhabitants of Jerusalem for sin and uncleanness.' And therefore 'tis often represented in the prophecies, that forgiveness of sin should be a blessing that should in an eminent manner [be] a consequence of the Messiah's coming. Jeremiah 23:5–7, 'Behold, the days come, saith the Lord that I will raise up unto David a righteous Branch… this is the name whereby he shall be called, The Lord our Righteousness. Therefore, behold, the days come, saith the Lord, that they shall no more say, The Lord liveth, which brought up the children of Israel out of the land of Egypt.' Compare this with Jeremiah 31:31–34, 'Behold, the days come, saith the Lord, that I will make a new covenant with the house of Israel and the house of Judah: not according to the covenant that I made with their fathers in the day when I took 'em by the hand to bring 'em out of the land of Egypt… but this shall be the covenant… for I will forgive their iniquity, and I will remember their sin no more.' Which implies there shall no more be a constant renovation of the remembrance of sin by repeated sacrifices, agreeable to the Apostle's understanding of this place (Hebrews 8:8–13 and Hebrews 10:10–18). So Jeremiah 33:8, 'And I will cleanse them from all their iniquity, whereby they have sinned against me; and I will pardon all their iniquities, whereby they have sinned, and whereby they have transgressed against me.' Jeremiah 33:15, 'And I will cause the Branch of righteousness,' etc. Not only do these things make it reasonable to suppose that the Jews understood that the Messiah was to be their high priest, who was to take away the guilt of sin and make a true complete atonement; but it appears to be so in fact, by what was observed before out of Philo, of his being the Mediator, the advocate and true high priest that procures an amnesty or act of oblivion for sins (pp. 382, 385, 389). And Grotius observes (De Veritate, Bk. 5, §15) that it is 'a common thing among the Jews to call the Messiah, Ish Copher, i.e. The Appeaser.' To that purpose he cites the Chaldee Paraphrast on Canticles 1:14. First. It is not credible that there should be so much revealed to the church of God from the beginning of the world about the Messiah for the comfort of the church, so that he seems to have been all along the main subject of divine promises and promises given to his people, which predictions it is evident raised great expectations and desires in God's people: I say, that it is not credible that it should be thus, and yet God's people all along be totally ignorant of the main errand of the Messiah into the world and of the main thing that he should do for their benefit. Their expectations, it is manifest, were greatly raised; their dependence on these promises were the main comfort of the church in all these preceding ages. This was the object of the earnest and joyful expectation of Abraham, for he rejoiced to see Christ's day; 'he saw it, and was glad' [John 8:56]. It was earnestly desired and waited for by Jacob. Genesis 49:18, 'I have waited for thy salvation, O Lord.' The same was the language of the hearts of God's church in all times of the old testament. Psalms 14:7, 'Oh that the salvation of Israel were come out of Zion! when the Lord bringeth back the captivity of his people, Jacob shall rejoice, and Israel shall be glad.' We have the same words, Psalms 53:6. (See 'Prophecies of Messiah,' §51.) This was that which was the object of David's greatest and most earnest desire and expectation, and the main spring of his comfort and joy; as he declares, it was all his salvation and all his desire. Christ tells his disciples, Matthew 13:17, that many prophets and kings and righteous men had desired to see those things which they saw, and had not seen them, and to hear those things which they heard, and had not heard them; Luke 10:24. This is represented as the great object of the desires of the church under the old testament. Canticles 8:1, 'O that thou wert as my brother, that sucked the breasts of my mother!' etc. Adam seems to have taken great notice of the first prophecy made of the salvation of the Messiah as the seed of the woman that should bruise the serpent's head, and to have laid fast hold of it, by his changing his wife's name upon it and calling of it 'Eve,' or 'Life,' because she is the mother of all living [Genesis 3:20]. The saints that were in Israel at the time of Christ's coming are characterized by this, that they were those that waited 'for the consolation of Israel,' and 'looked for redemption in Jerusalem,' and 'waited for the kingdom of God' (Mark 15:43, Luke 2:25, Luke 2:38). Second. Especially is this incredible, when there was so much said, and so plainly said, in the ancient prophecies concerning the sufferings and death of the Messiah, and his suffering as a sacrifice and atonement for the sins of his people. The first prophecy of Christ that ever was, under the name of the seed of the woman, spoke plainly of his sufferings. And seeing Adam took so much notice of that prophecy, there is all reason to think he took notice of the prediction of these sufferings. How plainly is it foretold. Daniel 9:26, 'And after threescore and two weeks shall the Messiah be cut off.' It is impossible this prophecy of the Messiah should be overlooked by the saints in Israel, or be so misunderstood by them as not to understand that the Messiah should die. Again, the prophecy is plain in Zechariah 13:7, 'Awake, O sword, against the man that is my fellow: smite the shepherd, and the sheep shall be scattered: and I will turn my hand upon the little ones.' But above [all] is the prophecy of the sufferings and death of the Messiah plain and full and impossible not to be observed in Isaiah 52:13 to the end of Isaiah 53. Third. If the prophecies of the sufferings and atonement of the Messiah had been less plain than they were, yet it would have been no wonder if the saints, who delighted in God's word and made it their meditation day and night, had understood that he was to suffer, and in that way make atonement for sin; and therefore 'tis no strange supposition if we suppose they understood thus much before the prophecies were so plain, considering what we are told of the engagedness of the minds of the prophets and righteous men of old diligently to search into these prophecies and to endeavor to understand them. 'Tis not so much to be wondered at if they had some understanding of those predictions of these things that were clothed with dark figures or symbolical representations, and delivered in enigmatical speeches, seeing it was a great part of the wisdom that was in vogue in those day among the Jews and other nations, to be able to interpret hieroglyphics and parables and to understand enigmas and dark speeches. And there were many of Israel that excelled in that wisdom, especially of the righteous, who had their minds enlightened by the Spirit of God, and who had prophets and priests and the wisest of their nation to instruct them and teach 'em the meaning of God's word. Fourth. There were ancient traditions found amongst many heathen nations (joined with their traditions concerning a Trinity) concerning the sufferings of the second divine person, [the] son of the first, which it is highly probable were derived from the Jews or came by tradition from the ancient patriarchs, the first fathers of nations, being derived from their doctrine concerning the sufferings of the Messiah, the Son of God: such as the traditions of the Persians concerning the combats of Mithras, the second god of the Persians, the first person that proceeded from the great god Azomazes; the murder of the Orus or second Osiris of the Egyptians, and the second deity of the Egyptians; the banishment of the Apollo of the Greeks, the son of Jupiter; the death of the Adonis of the Phoenicians; the labors of Hercules, the son of Jupiter, who came down to exterminate monsters; and the conflict of the Kiun-Tse of the Chinese (see 'Miscellanies' no. 1351, p. 872, [col. 2], c, d, e, and 876, [col. 1], e.) And 'tis probable that from hence, at least in part, came the custom among the heathen of offering human sacrifices. Fifth. What is a more direct evidence of the fact I would establish, is that it appears by the writings of the ancient Jews them [selves] that they did suppose the Messiah should suffer death, and so make atonement for sin. They interpreted the fifty-third [chapter] of Isaiah of the Messiah (see Bp. Kidder's Demonstration, Pt I, p. 69b). And Grotius, in his treatise De Veritate, etc., Bk. 5, §15, cites Rabbi Judas in Chasidim and Rabbi Simeon in Bereschith Rabba saying 'that the Messiah should bear our sins.' And the latter Jews are [so] sensible of the plainness of the prophecies of the Messiah's sufferings that they have invented two messiahs: one suffering, and another a triumphing messiah (see Kidder, Pt. I, pp. 69e and 70a). Sixth. We can't suppose that our Lord would ever have so severely rebuked Peter for his objecting against what he had told [of] his own ignominious and cruel death, if the revelation of the death and atonement of Christ were so dark that it was not supposed or expected of the saints under the old testament that they should have any understanding of them or any expectation or notion of this great and wonderful event. Seventh. Though it be apparent from many passages of the New Testament that the way of men's salvation by the death and atonement of Jesus Christ was a mystery in a great measure kept hid from God's people through all the ages of the old testament, and this be evident also by the universal surprise of the true disciples of Christ on his crucifixion, these things prove no more than [that] their knowledge of these things was very imperfect in comparison of what it was after Christ's ascension— like a dim moonlight in comparison with daylight. They had doubtless very imperfect notions of the manner of the death and sufferings of Christ. Perhaps their notion was that the devil was to kill him, taken from the first prophecy of the serpent's bruising the heel of the Messiah [Genesis 3:15], from whence probably came the Egyptian fables of Orus' conflict with the serpent Python and Hercules' conflict with monsters. Or they might suppose that he would be slain in war with the heathen nations, who worshipped devils and would be some way headed by the devil in their conflicts with the Messiah, and so in that sense be slain by the devil; but afterwards should come to life again and then carry on the war to a glorious victory over all the heathen nations. Possibly some might think his enemies would take him captive and imprison, judge, condemn and execute him, and so in that the prophecy of Isaiah be fulfilled, 'he was taken from prison and from judgment' [Isaiah 53:8]. Eighth. If it should be objected that the Jews in Christ's time— at least the great part of 'em— seemed to be without any notion of a suffering Messiah, and it was very contrary to the apprehensions that were deeply rooted in their minds: I answer that it is very apparent that the nation at that time was exceeding corrupt in principle and practice, and had greatly degenerated and departed in many respects from the purity of the faith of their forefathers, were become more stupid, ignorant and carnal in their notions of things, and had in many respects perverted and made void the doctrine of Moses and the prophets, and had conformed their notions of religion, and so their notions of the Messiah and his salvation and kingdom, to their own carnal, vain and proud disposition of heart. XII. God's people brought and offered their sacrifices, depending upon them for reconciliation to God and acceptance to his favour, no otherwise than as representations of that great sacrifice and atonement of the Messiah, or as having reference and respect to that. This must almost necessarily follow from things which have already [been] observed, viz. that they were sensible those sacrifices were of no avail on their own account, that God did not require 'em because he valued them at all for themselves. Therefore they must suppose it was with a view to something else. It has already been observed that they depended on the Angel that dwelt in the Holy of Holies as their Mediator and advocate to procure for 'em peace and acceptance with God, and that therefore they supposed it requisite their prayers and sacrifices should be directed to the place where he dwelt, and offered with respect to him and a dependence on him to make them acceptable and prevalent, and that they were sensible that on this account the blood of their sacrifices was to be brought into that Holy of Holies and then sprinkled on the seat of this Angel, which God taught 'em to be the propitiatory, to be as it were most eminently the altar of atonement, the grand instrument of propitiation, because their Mediator and divine high priest dwelt there; and that that divine person was the Messiah, who was afterwards to come into the world and make an end of sin by offering a sacrifice that should be truly propitiatory, and that this sacrifice was that of his own blood. Those things, put together, led 'em directly and as it were necessarily to suppose their legal sacrifices were only representations of that great future sacrifice; the sufferings of the beasts they offered, and their consumption in the fire, an image of the future sufferings of the Messiah; and that the sacrifices were of value only as they were related to the Messiah's sacrifice. And another thing that confirms the probability of the Jewish saints' trusting in the sacrifice of Christ, as represented by their legal sacrifices, is what we read of Abraham. The Apostle, speaking of the example of the faith of old testament saints, mentions that as one instance, that Abraham, when he offered up his son Isaac, received Christ 'in a figure,' or ευ παραβολη, as it is in the original [Hebrews 11:19]; i.e. he received the antitype of Christ slain and risen in that type of his son Isaac. That was the time, in all probability (above all others), when Abraham rejoiced to see Christ's day, 'and saw it, and was glad' [John 8:56]. If Abraham by faith received Christ and his sacrifice in that type, 'tis likely that the saints received him in the type of the legal sacrifices, concerning which there were much more to lead 'em to understand the sacrifice of Christ as signified thereby. XIII. Such a dependence on the divine Mediator as has been spoken [of] was the revealed and known condition of peace and acceptance with God. It is evident from what has been already said that divine institutions plainly directed to this and were so ordered, as had that language very plain, that looking to this Mediator, confessing him, having respect to him and dependence on him, was required in order to the forgiveness of their sins and the hearing of their prayers, acceptance of their persons and receiving the tokens of God's favor. What was said and done at the dedication of the temple, that has been taken notice of already, very fully declares this. They that walked in darkness were directed to trust in the name of the Lord. The name of the Lord is spoken of as the 'strong tower' of the righteous, in which he put his confidence and by which he had safety [Proverbs 18:10]. Sinners, in order to make peace with God, are directed, Isaiah 27:5, to lay hold on God's strength, and it is promised that if they did so they should make peace with God. And 'tis evident it was the way of the saints to trust in this Mediator for acceptance, by their asking for mercy for God's name's sake, etc., as has been before observed. And if any [think] that the revelations of the way of justification in the Old Testament are too obscure to lead the people to seek and depend upon justification in this way, it may be considered that 'tis certain and beyond dispute that there were many things of an evangelical nature that the church of God under the old testament were fully established in the belief of, and express and plain in their profession of, that the Old Testament itself was no more express and full in than in this way of justification Thus they were full in the belief of the immortality of the soul, as the heathen philosophers were, and so in their belief of the resurrection of the dead, as is evident by the New Testament and by the ancient Jewish writings. By these it is plain those doctrines were esteemed as great and main articles of their faith. And thus I suppose the saints under the Old Testament trusted in Christ and were justified by faith in him. FAITH, wherein its NATURAL FITNESS, etc. consists. The great office that Christ sustains and executes in order to his being the means of our justification, reconciliation and acceptance with God is that of a Mediator. But now, in order to our having an interest in Christ as our Mediator, or his being a mediator for us, and our having the benefit of his mediation, 'tis fit, as Dr. Owen observes (Exposition on Hebrews 8:6, p. 215e), 'That he who is Mediator be accepted, trusted and rested in on both sides or parties.' On God's part he is chosen, appointed, accepted and entirely trusted in He is the mediator in whom he is well pleased his elect in whom his soul delighteth. And therefore how fit that he should also on our part be in like manner chosen, trusted and acquiesced in [in] order to his being a mediator for us as we are also intelligent beings capable of act and choice. JUSTIFICATION, a forensic term. See Poole's Synopsis on Isaiah 53:11, the place marked in the margin thus |. BY FAITH, NATURAL FITNESS. If we consider Christ as a sacrifice offered to atone for sin and obtain the favor of God, how can it be expected that this sacrifice should be looked upon as our sacrifice, or that we should be respected as interested in the sacrifice, unless we are active in the affair, coming to the sacrifice in our hearts, choosing, appointing and constituting it as our sacrifice, looking for pardon and acceptance by it, and trusting in it for these? The sacrifices of old were offered for them who were the comers thereunto, and who worshipped God in the [sacrifice] offered, looking and hoping for the benefit of it. See Hebrews 10:1–2. See Papers on Faith. The offerer, in some cases, laid his hands on the head of the sacrifice, thereby expressing his consent, choice and appointment of that as his sacrifice to bear and take away his sins, and his expectations of the benefit of atonement by means of that. If we consider Christ in the character of an advocate, how fit is it that, in order to our having him for our advocate to undertake and plead our cause for us, we should commit our cause to him. OBJECTION. One SECTION on this inquiry, viz. whether this doctrine depreciates virtue and holiness in general as to its value, excellency and importance. To show that this doctrine is not made out by unreasonable and unmeaning terms and distinctions. To show particularly how the terms are reasonable and intelligible, and that nothing is requisite but candor in order to an understanding of them. To show how that the distinction our adversaries are obliged to make use of are nice and as unintelligible as justified by works of the law of Moses, or Moses' law, or by works of law considered with respect to the perfection it requires: not by works, i.e. not as meritorious, i.e. by a merit of condignity or by merit of equality, etc., etc. ; that by works [they] don't mean good works in general but Jewish works; that by righteousness is not meant righteousness in the ordinary use of that phrase but Pharisaic righteousness, not saved by works merely on the footing of law. See Mayhew, p. 201e. To show particularly how these are the unmeaning, unintelligible distinctions. Remember when writing, consult Dr. Mayhew on the subject. CONCLUSION. Why should any be disposed to oppose this doctrine? What is got by it? There is evidently no advantage to the cause of virtue no increase of obligation or incitement to it; it derogates nothing from the necessity or benefit of it, and surely it more naturally leads to exalt God's grace. To express what I would say of our faith and obedience not justifying by a MORAL FITNESS, thus: that it don't justify or give an interest in Christ by any moral value in it. CONCLUSION. The Scripture is no more wrested from its more obvious and natural sense on our side than on theirs, nor in any measure so much. There are requisite no more, and no more subtle, distinctions and farfetched criticisms to bring the Scripture to speak our meaning than theirs; no, nor need of any subtle far-fetched distinctions in any measure [in] so many cases. All the advantage they have on their side in the manner of arguing, and means made use of to support their scheme, above what we have (if that be any advantage): they clothe themselves with more of the air of haughtiness and contempt. It may probably tend to remove the prejudice from some divines against what I have said of a NATURAL FITNESS in faith if, instead of this, I use the phrase 'natural suitableness,' and so suppose a moral fitness recommending to a natural suitableness in this qualification, to be looked upon as that which makes the believer one, and so on that account is suitable to bring to an interest in Christ or a communion in his benefits, and to show that this is what is meant by the particle by when we read of being justified by faith; i.e. this is the qualification wherein lies the immediate suitableness, according as infinite grace and wisdom has constituted things, of our coming to an union and interest in Christ and by which we have that union and interest. Concerning DISTINCTIONS made use of by the Calvinists in what they say of justification, see back, concerning Mysteries, pp. 197e, etc. 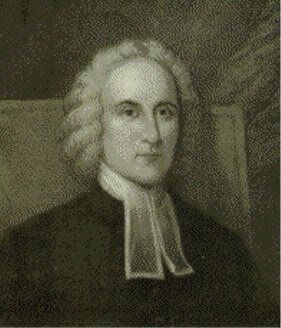 'We cannot be justified by any law, according to which we are rightly deemed transgressors.… If on account of a partial obedience only to the law, we really are, and must be reputed offenders; we cannot be accounted by or according to that law.… The Lawgiver cannot account us righteous, without that righteousness which the law he gives requires us to practice.… This is perfectly agreeable to the reasoning of the Apostle on this subject. He concludes upon the impossibility of the justification of any man by the works of a law, from hence, viz. every man being a sinner, and to be proved such by the law: if therefore, there be any force in his reasoning, we must conclude, that no man can be justified by any law; according to which every man, by reason of his defective obedience to it, is rightly denominated a transgressor.… If by this law, supposed to be accommodated to the present state of human imperfection and weakness, men may be justified, on account of their own works, in obedience to it; then it demands or requires not perfect holiness; so far from it, that no unfit action, which hinders not our justification, can truly be accounted criminal.… The absurdity of this distinction of works, is very great, plain and evident; and as it has no foundation in revelation, it hath not in reason; it is no other than a figment, a dream, or foolish invention of men, to evade the force of the Apostle's clear and nervous reasoning on this important subject. 'If men are justified in the sight of God by the works of a law, then Christ died in vain.… For if we are justified by our own obedience to a law, then we cannot be accounted sinners by that law; and if we are not transgressors, or reputed such, no atoning sacrifice is required, in order to peace and reconciliation; God hath nothing against us as our Lawgiver, and Judge; his law charges us with no offense, pronounces no threatening against us, nor is the justice of God displeased with us, and, consequently, no propitiatory sacrifice was needful to be offered for us. 'God justifies men who work not, and therefore works performed by them, cannot be the cause of their justification. Crellius says, that they work not, or obey not perfectly: this is not to explain, but to contradict the Apostle.… The distinction of working perfectly and imperfectly, is not to be found throughout the Apostle's discourse on this subject.' The Apostle says, the justified person worketh not, i.e. in order to his justification. Crellius contradicts this and says, he does work to that end, and his works justify him. These things taken from Mr. John Brine in Answer to Mr. Foster. Romans 3:20, 'Therefore by the deeds of the law there shall no flesh be justified in his sight.' 'The learned Vitringa hath with propriety observed that this word is borrowed from Psalms 143:2, and must therefore signify 'to receive the testimony of being righteous from a judge,' and cannot merely signify 'to obtain mercy.' 'To be justified' also sometimes signifies 'to overcome in judgment' (Psalms 51:4), and the expression of being 'just before God' implies the same. And that this is the sense of the word in this Epistle, appears from several passages; particularly Romans 2:3. So that on the whole, as he argues, justification is not a phrase parallel to forgiveness, but refers to a judicial process, and carries in it the idea of acquittal, praise and reward. And indeed it seems to me always ultimately to refer to the being pronounced and treated as righteous in the great day of God's universal judgment. See Romans 2:13, Romans 2:16.' Doddridge in loc.